Well, if you’ve been a frequent follower of this blog, you’re already well aware of what a Connealy fan I am. 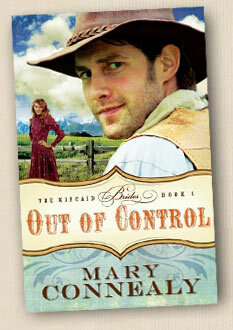 I happily own all of her books, and look forward to her newest releases- especially more of the Kincaid Brides series. Now, let me tell you that one of the highlights of my first ACFW conference was getting to meet the Seekers – and especially Mary Connealy. 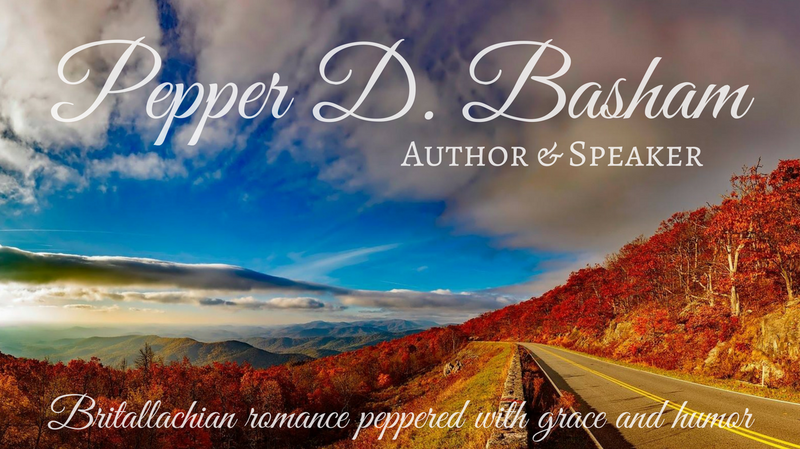 She and Siri Mitchell were the first authors I read who wrote something similar to what I liked to write – and were the first authors to help me find a ‘home’ in Christian fiction. Mary is also the one who introduced me to the wonderful world of Seekerville. She creates stories about as fast as her heroes can round-up cattle- and all of her romances are filled with fabulous humor, adventure, and male-female banter. 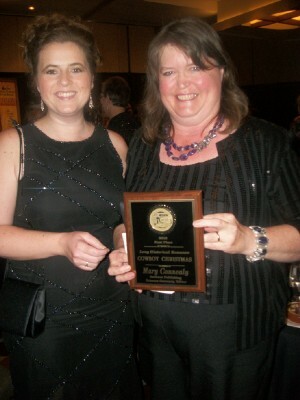 Last year at ACFW, Mary won the coveted Carol Award for her novel, Cowboy Christmas. That’s me with Mary after she received her award. Does’nt she look so happy!!! Okay, okay – back to conference tips. Mary, what are three things a writer should never forget to bring to conference? that’s it. I can survive everything else. Do you have a favorite Connealy Classic? OOOH – how fun it would be to hang with the likes of you and Mary and Ruthy and so many other friends from Seekerville! I’m not going to the conference but can’t wait to hear all the ins and outs. Hope you’ll be the on scene reporter! I really enjoyed Montana Rose myself… Honestly? I’ve enjoyed all of the ones I’ve read… I think 4 now. This one just sounds like great fun though – such a title!!! Oh KC – we’ve GOT TO GET together sometime! Wouldn’t that be fun?!? Pepper, YOU are master of one-sheets! What you designed last year blew my socks off. You really need to share a couple of creative secrets in a post before conference. And I even have Ruthy’s number!! Gotta be prepared!